I can see how this can be very useful for children and adults with limited vocabularies. Also for people in therapy, they can go listen to their thoughts and learn the faulty thought patterns. 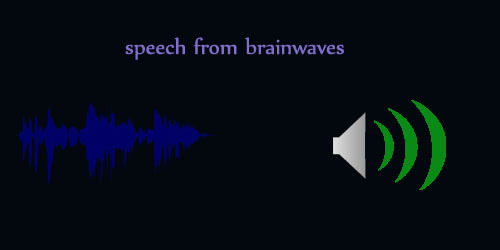 Few studies and researches has shown that brainwaves can be decoded and then can be converted into speech. Here’s something on this topic, but lets first understand what is brain wave? Brain wave is an electrical signal (like wave form) in the brain. The human brain is made up of billions of brain cells called neurons, which use electricity to communicate with each other. The combination of millions of neurons sending signals at once produces an enormous amount of electrical activity in the brain, which can be measured using an EEG (EEG is the measurement of electrical activity in the brain using electrodes attached to the scalp and can provide an indication of the mental state of the individual).